Crappy Album Covers #275 — What’s that in your pipe? Pipes, as shown here, can be fun for both boys and girls. You can slide down the mouthpiece; stand on top of a flame coming out of the pipe and not get burnt. Just as you can smoke a pipe and not get lung cancer, or walk between the raindrops in a storm and not get wet. 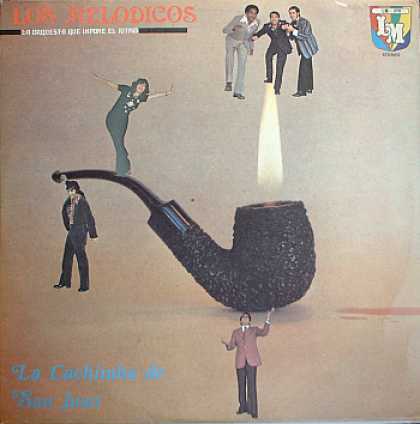 Los Melodicos is the brainchild of Renato Capriles, way back in 1958, and made its debut as one of Venezuela’s foremost Latin-oriented orchestras, and have made over 100 albums. The anthropologists knew about ‘shrooms all along. They had the jump on the hippie generation, who tried to use it under the ruse of “artistic inspiration”. Yeah, mushroom ceremony, my arse. They were passing aruond the pipe because they couldn’t get enough of that buzz. 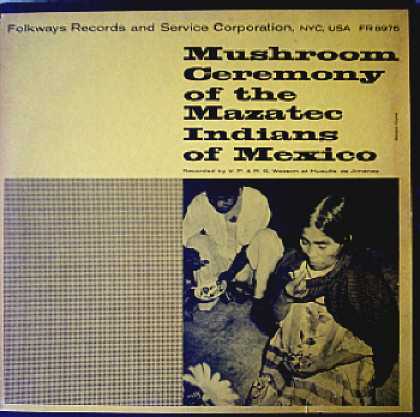 The Mazatec (meaning “Lords of the Deer”, which is often something you see when you are stoned) were an “Indian” (aboriginal) tribe in the south of Mexico in the state of Oaxaca to the south. Their recorded history was made up of either defensive war against the Aztecs or defensive war against the Spanish Conquistadores.